Hi Threshing Table Farm Members! 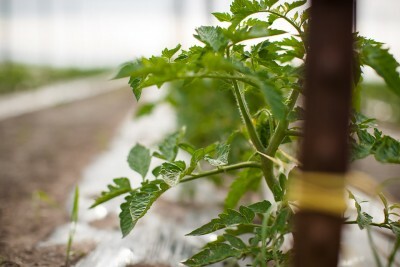 We are about a week from starting the greenhouse, but a lot of farming has already been happening in preparation. This farming takes place in the form of planning, inspiration and building relationships. All of this is important to do in the winter, because it sets the stage for much of what we do in the summer. We have had some changes to our pick up sites. The changes are reflected in our sign up link on the website, but we wanted to review them here. We will be discontinuing delivery to our Minneapolis sites of: Time Out Pilates Studio and Fairview Homecare and Hospice. We are going to start delivering to Hill Murray School in St. Paul. This will only be available for staff and families of Hill Murray. An invitation for HM families to join our CSA will be going out shortly. All other sites will stay the same. Thank you to all of our pick- up site hosts for graciously welcoming us and our farm members each year! Aimee and Randy Staples of Frog Hollow Studio who have been helping us design our brochures, Valentine’s postcards, flyers, etc. Minute Man Press who have been printing the brochures and cards. Lynzy Eggen and her mom Stacie of Designer Logo who have been helping us with T-shirt design/printing. Yes! There will be farm shirts this year! Ilisa Ailts of Ailt’s Photography who has been working on photography ideas. And these are just a few! We’ve been building our Threshing Table Farm community for the past 9 years and we are blessed with the talent, depth and generosity that surrounds us. We are also thrilled to announce that Gravel Road has agreed to play for the 2nd annual Pack Shed Party! They played for the 1st Pack Shed Party and were so much fun to listen and dance to. Put it on your calendars… the Pack Shed Party will be held on Friday, August 19th. Join us! The Pack Shed party is a lot of fun but does take some time to pull together. We also hope to have a few other smaller, social events during the season. We are looking for some farm members to be on a social committee for the farm. If you like to plan gatherings or want to know the farm and our members a little bit better, please let us know! We love having people out on the farm. Having others help us plan and get ready will help make sure these events happen as smoothly as possible. So please send us an e-mail if you are interested in helping. Thank you! I’ve also been spending some time reading Pope Francis’ Encyclical Letter: On Care for Our Common Home. Talk about Inspiring!! There is so much wisdom and grace in what he says. If you are interested in any part of this earth, (plants to people to social issues to technology) it’s all included. It’s not a difficult read and you certainly don’t have to be Catholic to appreciate the message. It makes me more appreciative for the natural resources I have access to and the responsibility that goes with it. The seed catalogs are also a huge inspiration to us! We had fun picking out seeds… and now it’s your turn! We’re looking at ordering something extra- something fun to try in the garden this year. Please look at these 3 items and vote on what you would like to see in your box. (We cannot promise success, but we promise to try!) E-mail us with your choice, we’ll order the seeds for what gets the most votes and see how it grows! Yt67Angel Hair(F1) SquashSeed Convenient size, high yields. Our smallest spaghetti squash variety has 1 1/2-2 lb. fruits, and is perfect for single servings. Highly uniform, egg-shaped fruits with slightly darker shells and sweet, nutty flavor. Miniature Long Island Cheese type. Fantastic squash with excellent eating quality. Avg. fruit yield is 3-5 fruits per plant. Medium-long vine. Extremely uniform, buff-colored fruit. Combines the attractive skin and flesh characteristics of a butternut with a superior shape and great flavor. Internal color is bright orange with a small seed cavity. Fruits have the aroma of sweet melon when cut. 2-4 lb fruits. I’ll end on a bit of sad news. Oreo, our farm friend and rabbit, passed away this winter at the age of 6 years. He was a two time Grand Champion at the St. Croix County Fair and a Supreme Grand Champion in the hearts of all of us. He’s taught our daughter responsibility and what it takes to care for an animal that is completely dependent on you. Each year Oreo visited the St. Croix County nursing home where he brought smiles and memories forth from people who missed the warmth of a rabbit. He gave Claudia the opportunity to teach others about rabbit care and as a result of his quiet spirit, she found her voice and a way to connect with others. He will be missed by young and old alike. We haven’t decided yet if we will get another rabbit. Time will tell. Lots has been happening around here and there is so much more to come! Thank you for being a part of our community and allowing us to be your farmers.